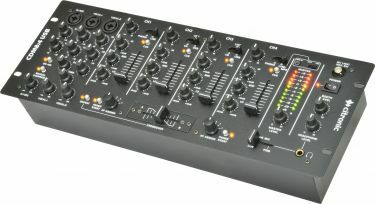 This 14 input, 4 channel professional DJ mixer is ideal for mobile use and installations. Each channel has 3 band EQ with individual volume control that can be assigned to either side of the crossfader or cue mix fader. 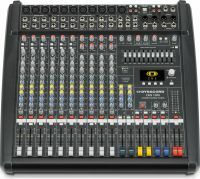 It features USB IN/OUT for playback or recording, and there are 3 x microphone inputs, great for karaoke and DJ set-ups.